This page is dedicated to providing the site visitor with quality Elvis Presley biography spirit information, pictures and articles for your entertainment. The contents of this Elvis Presley biography site is written by a fan for his fans. Elvis` belief of life after death was one he often talked about. 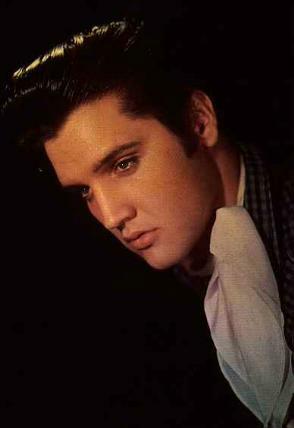 ELVIS PRESLEY died on 16 AUGUST 1977, AGE 42`. THE KING WAS DEAD. With these shattering words Elvis Presley`s spirit reached across the gulf that separates his world from ours, to communicate with his step brother David Stanley and David`s mother Dee Presley, in a spine-tingling two-hour s`ance arranged just a few days short of the day when the king of rock died. David Stanley, talked to Elvis, `it was unbelievable `David was at Elvis`s home Graceland, the day Elvis passed away. It is professor Hans Holzers profession to investigate unusual claims in parapsychology, and sift the genuine from the false or doubtful. At first, Hans had his doubts about the whole matter, and especially when dealing with a very well known personality about whom there is much information. But Hans doesn`t have the slightest doubt that Dorothy never read any books about Elvis, or newspaper stories concerning him. With breath taking accuracy, Elvis revealed details of his life and family, his home and personality that are simply to rich in detail and possessed of their human mood and flavour of Elvis, to be derived from research. The emotions displayed during the s`ance drained all whom attended, while leaving Dorothy, the medium, shaken and crying as she passed on the emotionally charged words of the star. A short time later Dorothy had relaxed sufficiently to allow the spirit of Elvis to impress her, the s`ance began. Elvis displayed an intimate knowledge of David`s career goals, including his thoughts of being a photographer and David`s desire to be as famous as his idol. Although never greatly publicized, Elvis' mother struggled with an addiction alcohol but never sought alcoholism rehabilitation. Tears streamed down the mediums face, as Elvis spoke of his fears and anxieties his great concern at being alone after his mothers death, a side of Elvis never shown in public, only known to his closest relatives and friends. Elvis also described his palatial home, Graceland, in much detail, he mentioned his favorite pieces of jewelry`all of which corresponding to the facts. Elvis spoke of his mother, Gladys weakness, while she was living, concerning alcohol: a fact, which was never publicized for obvious reasons, but which, according to the family, is nevertheless entirely accurate. Elvis stepmother Dee and stepbrother David both said they felt Elvis spirit, they could actually feel him pacing the room and feel him enter their minds. Elvis revealed intricate details of Las Vegas Hilton Hotel, where he many times performed. Elvis talked about his daughter, his ex-wife and some of the things he had done and which he is now sorry, especially the way he died. Elvis explained that he was happy to be reunited with his mother, Gladys. Elvis also let it be known how he felt about the people who impersonate him. 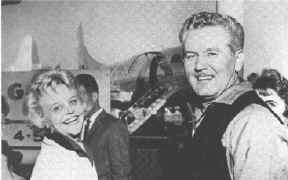 Dorothy Sherry (the medium) experienced many astral flights with Elvis. At the s`ance Elvis revealed that he was in a state of total pararioia before his passing, very concerned about his security, because of the threats against his life`a fact that only David Stanley and a handful of intimates knew. `I talked to Elvis`it was unbelievable`, said David, Elvis`s half`brother and body guard. The subjects talked about through Dorothy were the closest to the Kings heart. Elvis`s family members are absolutely convinced they were in the presence of Elvis Presley`s spirit. Elvis`s message to the world. Even the King of Rock and Roll is only a private citizen` ELVIS was very religious. Tears streamed down the mediums face, as Elvis spoke of his fears and anxieties his great concern at being alone after his mothers death, a side of Elvis never shown in public, only known to his closest relatives and friends. Bonus article on Elvis Presley and his generosity in life, and tributes to him on his death. His fianc` Ginger Alden found Elvis dead in his bathroom. Officially, he died from "cardiac arrhythmia" — a euphemism for years of abuse of all sorts of prescription drugs. Some 80,000 people attended his funeral in Graceland on August 18. Most of Elvis` philanthropic endeavors received no publicity at all. Throughout his adult life, for friends, for family, and for total strangers, he quietly paid hospital bills, bought homes, supported families, paid off debts, and much more. Elvis' legacy of generosity continues through the work of the Elvis Presley Charitable Foundation, which is the philanthropic branch of Elvis Presley Enterprises, Inc. and the creator of the Elvis Presley Endowed Scholarship Fund at the University of Memphis. The tradition of giving also continues through the work of the Elvis fan clubs worldwide, most of which are heavily involved in charitable endeavors in Elvis' memory. Each year he gave $1,000 or more to each of 50 Memphis area charities and made many other charitable donations around the country like the Hawaii concert proceeds. There are 625 Active Fan Clubs worldwide. `Elvis ` the concert` had over 30 past band members in it and toured the world. On August 16, 1997, Elvis, via video, starred in an extravagant concert production entitled Elvis in Concert '97 at the Mid-South Coliseum in Memphis, Tennessee, accompanied live on stage by over thirty of his former bandmates and the Memphis Symphony Orchestra. The show played before a capacity crowd of fans who had come to Memphis from around the world to commemorate the twentieth anniversary of Elvis' death. Elvis broke the Mid-South Coliseum's all-time record dollar figure for box office sales. This concert was the prototype for the 1998/99 touring production Elvis — The Concert. By being the first performer ever to headline a live concert tour while no longer living, Elvis made history again. Chapter 8 ` Elvis Presley Diary ` calendar record of events in his life. Enclosed is copyright registered to Eve Guevara-Sansom ` as extracts from the Elvis files. SITE DISCLAIMER: The Elvis Presley biography information and resources on this site are provided for your entertainment only. No content on this Elvis Presley biography site is intended to be a substitute for therapy or professional advice. While all attempts have been made to verify information provided in this Elvis Presley biography publication, neither the author nor the publisher assumes any responsibility for errors, omissions or contrary interpretation of the Elvis Presley biography or Elvis Presley picture subject matter herein. There is no guarantee of validity of accuracy of any Elvis Presley biography content. Any perceived slight of specific people or organizations is unintentional. This Elvis Presley biography website and its creators are not responsible for the content of any sites linked to. The Elvis Presley biography contents are solely the opinion of the author and should not be considered as a historical fact or authority on the facts. The Elvis Presley biography author and the Publisher of Elvis Presley biography assume no responsibility or liability and specifically disclaim any warranty, express or implied for any products or services mentioned, or any techniques or practices described. The purchaser or reader of this Elvis Presley biography publication assumes responsibility for the use of these Elvis Presley biography materials and articles and information. Neither the Elvis Presley biography author nor the Elvis Presley biography Publisher assumes any responsibility or liability whatsoever on the behalf of any purchaser or reader of these materials. Description of Elvis Presley biography site contents: This Elvis Presley biography site contains Elvis Presley biography information, history on Elvis Presley life story,Elvis Presley biography site for Elvis Presley pictures and photos, Elvis Presley song lyrics, Elvis Presley biography pictures, Elvis Presley movie resources, Elvis Presley biography free e-books and articles listed for your convenient search in subjects of: Elvis Presley biography, Elvis Presley pictures and photos, Elvis Presley biography page, Elvis Presley song lyrics, Elvis Presley biography articles, Elvis Presley movie resources,Elvis Presley biography website, Elvis Presley childhood, Elvis Presley Band members biography, Elvis Presley girlfriends, Elvis Presley spiritual medium stories, Elvis Presley biography, Elvis Presley Memphis mafia stories, Elvis Presley diary quotes, Elvis Presley movie and music details in relation to the Elvis Presley biography and interviews of friends and family members for the Elvis Presley biography website written by a fan for his fans.